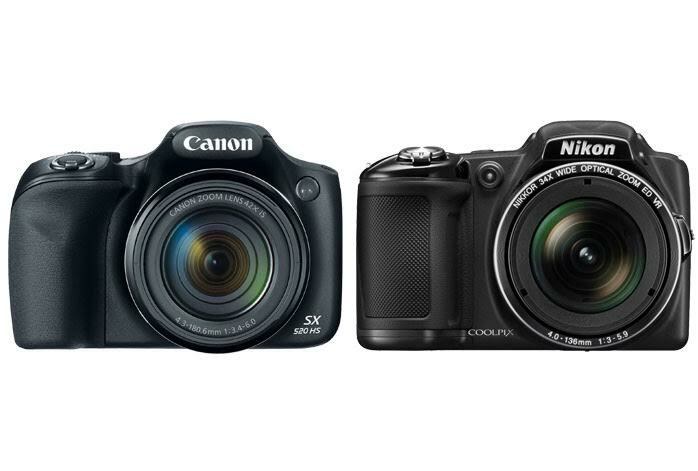 Are you confused in choosing between Canon Powershot SX520 and Nikon Coolpix L830? Both are compact digital cameras available in a similar price range. These two products are certainly feasible choices if you are looking for an affordable digital camera that is able to deliver excellent image quality. As a matter of fact, each of these two products actually has each own advantages and perhaps disadvantages. So, before you make a hasty decision, make sure that you are aware of their differences! Quite interestingly, Canon Powershot SX520 is a little bit bigger than Nikon Coolpix L830, but it is also slightly lighter. The differences, however, are pretty much marginal and hard to notice. Both are generally compact and portable enough to allow easy handling and travel. Both models also have textured gripping surface to enhance solid handling. Canon Powershot SX520 and Nikon Coolpix L830 each comes with a 3.0-inch display screen. However, Canon Powershot SX520’s display screen is fixed. On the other hand, Nikon Coolpix L830 comes with a tiltable display screen, which will allow you to shoot from difficult angles as well as to take selfies. The resolution is significantly higher, too, providing more accurate and comfortable image previewing. See also : Canon Powershot SX520 vs. SX400. Each of the two models is coming with a 16 MP 1/2.3” CMOS image sensor with a built-in optical image stabilization system to compensate any shake or vibration that may happen as you shoot your photos and videos. One nice thing about Nikon Coolpix L830 is that it is able to perform a 7.0-fps continuous shooting, as opposed to Canon Powershot SX520’s barely 2.0-fps continuous shooting. However, the other factors prove that Canon Powershot SX520 is also a powerful digital camera. First, it comes with a very powerful lens. The 24-1008mm Canon Zoom lens is able to provide up to 42X optical zoom, ensuring maximum image’s crisp and sharpness even though you are shooting from a distance. As a comparison, Nikon Coolpix L830 only has 34X maximum optical zoom. Worth a note, it also offers a slightly faster shutter, too, with 1/2000s maximum shutter speed. Second, it also provides manual focusing and manual exposure, giving you the total control over every photo and video that you are about to shoot. If you prioritize the tiltable high-res screen for usage convenience, you should go with Nikon Coolpix L830. Otherwise, pick Canon Powershot SX520, which has a more powerful lens and manual control.